Low cost headsets are often end up compromising on either comfort, audio quality or its construction. With that in mind, it makes sense that Corsair set their engineers to task to deliver a low-cost no-compromise gaming headset; enter the HS50. As presented, the HS50 has a slim and elegant looking design that is composed of robust plastics, structural metal, and plush memory foam, while on the inside, audio duty is carried out by 50mm neodymium drivers. On description alone it would be easy to think that the HS50 doesn't necessarily bring anything new to the market. However, the HS50 has been refined far beyond many of the competing headsets at this price point. 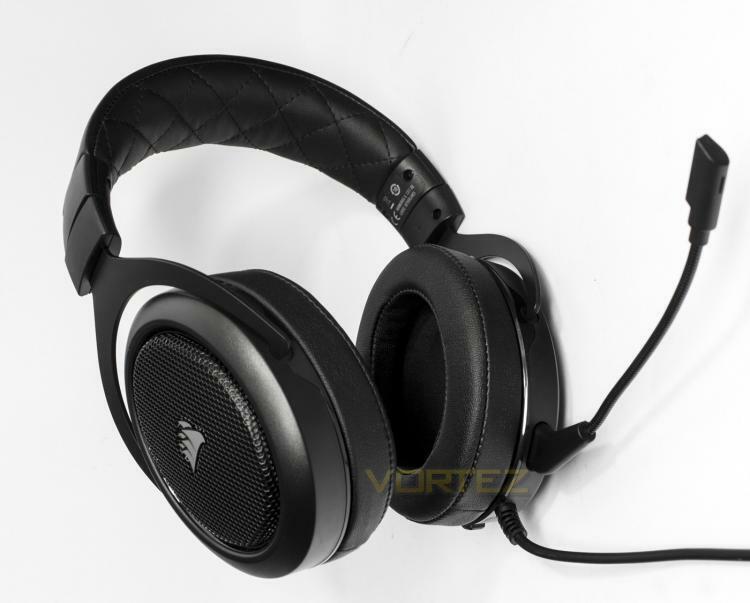 Corsair have included features such as: on-ear audio controls (including a volume dial and microphone mute button), accent stitching on the headband, metal grills on the sides, and expertly concealed wiring. To top it off, the noise reducing microphone is detachable, allowing you to maintain the sleek aesthetic for pure headphone use. Building upon the success of the CORSAIR VOID PRO headsets, we are pleased to introduce the latest addition to the CORSAIR headset family, the HS50 STEREO. The HS50 STEREO offers gamers outstanding comfort, audio quality and durability at more accessible price points without sacrificing the performance and quality CORSAIR products are known for.